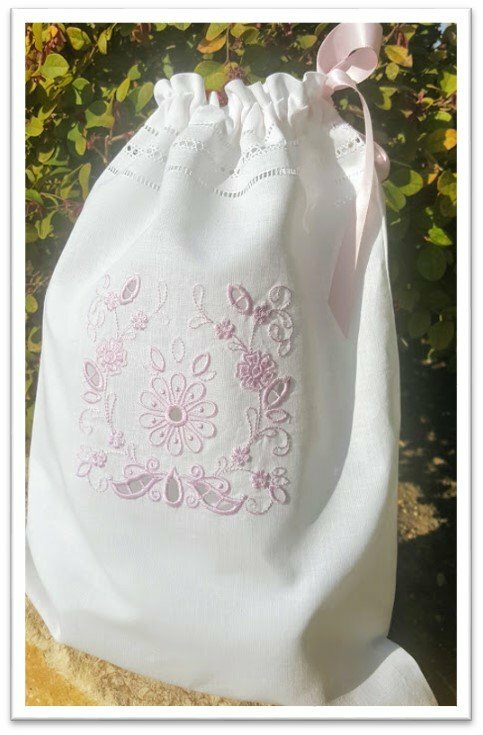 Learn to create beautiful openwork embroidery using your embroidery machine and a pair of scissors. Water soluble stabilizer makes easy work of this classic technique. We will create an elegant lingerie bag. Design size is 5" x 5"
Hemstitched pillow case, available at NSV. Alternative is tea towel. Embroidery design is approximately 5" x 5"
2 yard x 5/8" of double faced pink satin ribbon for tie. See Class Policy in Terms and Conditions!